The two most popular Social Networking websites are Facebook and Twitter. They are now easily accessible on desktop, laptop and tablet computers and ,also, smartphones. All you need is one of these devices and an internet or 3G / 4G connection to be able to keep in touch with family and friends wherever they may be in the world. 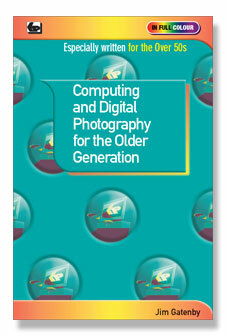 Written especially for the over 50s, who may have little experience in using a computer, tablet or smartphone. It explains in plain English how to enjoy and benefit from using Facebook and Twitter with confidence and security. The book also applies to all other age groups. The first part of the book shows you how to get started with Facebook, enabling you to build up a list of Facebook friends. By entering your personal profile you can make friends with other people having a similar background and interests and exchange news and information. The book then describes Twitter which allows you to quickly post off short, concise text messages called 'Tweets' for your followers to read and respond to. Followers could include your own family and friends. You may also choose to follow the 'Tweets' of well-known people and celebrities or contribute your views to popular causes and debates. Windows 10 is the latest version of Microsoft's operating system. It will be available as a FREE upgrade to Windows 7, Windows 8 and Windows 8.1 machines as well as being installed on new computers. To get the most from your computer you need to have a good understanding of it's operating system. 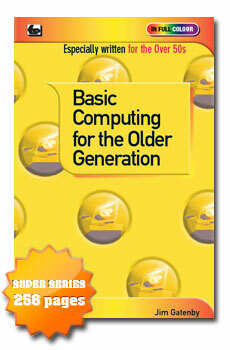 This book has been written for the Older Generation who may be new to computing and need a book that is easy to understand, written in plain English and is not at all intimidating. It also applies, of course, to all other age groups. This book will help you to upgrade, install and set up Windows 10 for your personal preference. It also covers the practical use of this operating system with it's new Start menu, icons and features such as Cortana personal assistant, new web browser, Con-tinuum for touch screen control etc. This book will easily and quickly get you started with Windows 10 whether you have just purchased a new Windows 10 computer or are upgrading an existing machine. 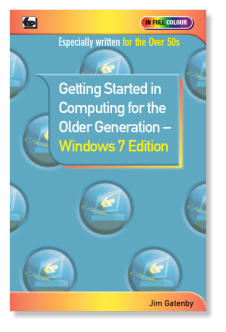 A completely revised edition of our highly successful book 'Basic Computing for the Older Generation' (978-0-85934-731-0) which covers Windows 7, Vista and XP machines, and, is of course, still in print. 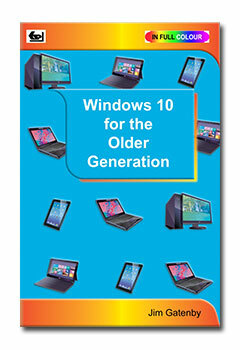 This new book covers Tablet, Laptop and Desktop computers which use the latest operating systems from Microsoft: Windows 8, Windows 8 Pro and Windows RT. In this edition more emphasis is given to Tablet and Laptop machines as these are becoming increasingly more popular as prices fall and specifications increase, but, of course, the use of Desktop PCs is covered as well. Details of controlling your computer using the new touch screen method is covered as well as by using the more conventional Mouse. This book covers everything a beginner is likely to need to know to start using and under-standing their computer effectively. It is written in plain English and avoids technical jargon whenever possible. Especially written for the 'Older Generation' who may have little or no knowledge of using a comput-er. This book is written in plain English and avoids technical jargon wherever possible. 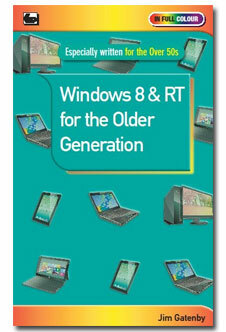 It covers the essentials of Windows 8, 8 Pro and RT. Windows 8 and 8 Pro are the latest versions of Microsoft's operating system for Laptops, Desktops and Tablets that use an X86 processor. The RT version is a new development for Tablets that use an ARM processor. As the essential basic operating features of all versions of Windows 8 and RT are similar, the main body of the text will be applicable to all. However, where a particular version has unique features they will be dealt with in the last chapter. Google is so much more than just a search tool to help you find information from the Internet. This book will show you how to explore and understand both the search facilities and many other useful features of Google. 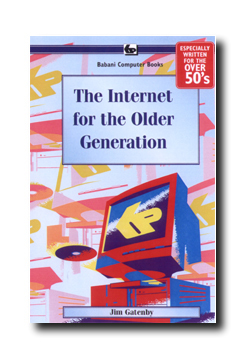 The book has been specifically written for the over 50s who may have little knowledge or experience of using a computer. However it will ,of course, apply to all other age groups. With this book you should rapidly be able to expand your knowledge and exper-tise in using Google and hopefully enjoy the experience. Many people think that Social Networking is exclusively for the young. However, it is also very useful to the Older Generation as it offers an alternative way of communicating and keeping in touch with family and friends all over the world. It is relatively simple to understand and use without ever having to leave the comfort of your own home! All you need is a computer and an internet connection. This book will tell you all you need to know to get started. The book explains in plain English and avoids technical jargon wherever possible how to set up, register and use Facebook and Twitter, the most popular Social Network platforms, as well as using Skype and Microsoft Live Messenger for video telephone calls. The use of Blogging is also covered as is the use of e-mails. With the help of this book you will find keeping in touch has never been so easy or inexpensive! The benefits of being able to use a computer are enormous, whatever your age. However, if you have little or no experience, then the whole idea could seem daunting. 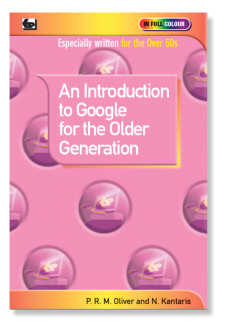 Well, help is at hand with this book which has been especially written for the over 50's in plain English and avoiding technical jargon wherever possible. It is suita-ble for users of Laptop and Desktop PCs running Windows 7, Vista or XP. The benefits for older people of using a computer. Choosing a computer to suit your needs. Simple explanations of the main components of a computer and their function. Using the Windows operating system, including tailoring it to suit your personal preferences. Windows help for people with special needs. Setting up a broadband Internet connection. Communicating with friends using e-mail and social networks like Facebook and Twitter. Useful software applications such as word processing, spreadsheets, DTP and graphics. Editing, enhancing and organizing your digital photos and making high quality prints. Using a computer for multi-media entertainment with music, video and 'catch up' television. Protection from viruses and computer 'hackers'. Keeping your computer running at its peak performance using simple maintenance tasks. This book will help you to get the best out of your computer and, should you need it, give you the confidence to upgrade to the latest equipment. 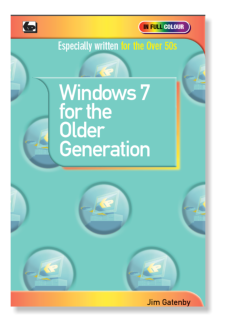 This book is suitable for users of laptop and desktop PCs running Windows 7, Vista or XP operating systems. You will need Windows Photo Gallery software installed, which is available as a free download for all three op-erating systems, the downloading process and the software's use is described in detail. The book explains the essential features and components of 'Point and Shoot' digital cameras and how photo-graphs are taken and saved on a memory card inside the camera. Photos can be viewed instantly and any unwanted images deleted. The Windows Photo Gallery software enables images to be easily transferred from your camera to your computer. Windows Photo Gallery contains a number of tools for managing, improving and editing your photos with a single click! Using Windows Photo Gallery pictures can be organised into clearly labelled folders making them easy to find at a later date. For security, photographs can be copied from the computer to a CD so providing a virtually indestructible archive. Also explained is how your photos can easily be shared with friends and family anywhere in the world by e-mail or uploading them to a photo sharing site such as Facebook or Flickr. How to make good quality prints, in various formats, by using an inexpensive inkjet printer, or one of the many on-line or High Street photo printing companies is also explained. In fact this book will explain in the simplest of terms all you need to know about using your digital camera with your computer. Laptop Fixes: Topics include optimising battery life, making the most of limited screen size and making the screen as easy as pos-sible to read. Using an external pointing device to make the computer easier to use and using Windows Ease of Ac-cess utility programs. Windows Problems: Includes start-up and shut-down problems, avoiding the computer slowing down due to 'bloat' and speeding it up again if this has already happened. Networking/Internet Problems: How to use Wi-Fi safely and what not to do. Getting good signals with Wi-Fi and Internet dongles, using a Broad-band router. Connecting to the Internet without a Broadband connection. Downloading large files. Peripherals and Hardware: Includes problems with cables and wireless links. Getting your printer to print in the required fashion, dealing with paper jams and feed problems. Getting a scanner to work correctly. Getting the correct driver software installed for internal and external hardware. This book should help you to stop 'panicking' when something will not work and could save you hours of time trying. With over 500 million users, Facebook is one of the most popular ways for people to communicate around the world. Originally the province of university students, the Facebook web site is now heavily used by all age groups, including many older people. This book has been especially written for the over 50's, using plain English and avoiding technical jargon wherever possible. It also applies equally to younger readers who would like to learn more about Facebook. • An overview of the diverse ways Facebook can be used and its many useful applications. • Everything you need to get started. • Signing up for a free Facebook account. • Building a personal profile including education, CV, contact details, likes and dislikes. • Using privacy settings to control who can see your personal information and photographs. • Finding and making friends with people who share your background or have similar interests. • Blocking all communication from people with whom you do not wish to interact. • Sending updates to tell all your friends your latest news, including text, photos, videos and links to web sites of common interest. • Sending messages to particular friends and chatting with them online in real time. • Preparing photographs and posting them to your Facebook pages, so enabling friends and family around the world to share the major events in your life. This book will help you to quickly master the basics of Facebook, so that you can easily join the exciting new world of Social Networking with its many opportunities. Finding out about our ancestors has never been more popular; while once the exclusive preserve of the professional genealogist, it’s now much easier to trace your roots from the comfort of your own home, using free or inexpensive software. All you need is a standard laptop or desktop computer connected to the Internet and you are ready to start. There is an enormous volume of data about previous generations on the Internet, available in seconds and much of it free. This includes censuses, parish records and births, deaths and marriages. 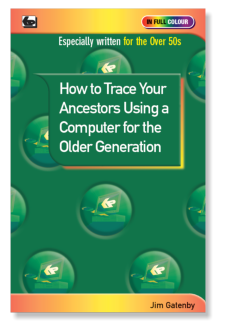 This book shows how you can easily find out about your forebears by searching these records and by visiting dedicated ancestry Web sites. This book also shows how to prepare a family tree and how to scan and e-mail old photographs and other archive information to family members around the world. 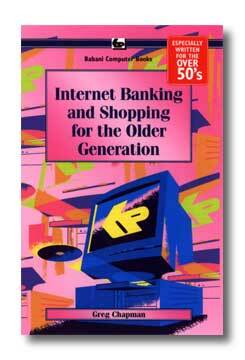 It is especially written for the over 50s who may have little or no experience or knowledge of using a computer. It is written in plain English and avoids technical jargon wherever possible. 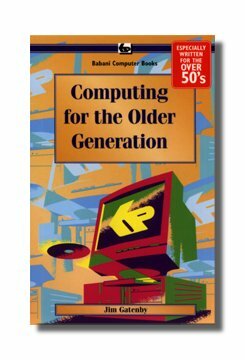 You can learn to use a computer at any age and this book, especially written for the over 50’s, will help you to do just that in an easy and enjoyable way. It is written in plain English and avoids technical jargon wherever possible. Choose the best computing set up for your needs. Get the computer running properly in your home. Connect to the Internet using wireless broadband. Get familiar with Windows 7 the sofwarwe that controls the operation of your computer. Install and use essential software such as Windows Live Essentials and Office 2010. Use your computer in conjunction with your digital camera. Keep your computer and data safe and secure. Keep your computer running properly. Use the ‘Ease of Access Center’, if you have poor eyesight, hearing or difficulty in using the keyboard or mouse. This book will help you to get the best out of your computer and give you the confidence to join a local computer class should you so wish. Printed in full colour on high quality non-reflective paper for easier reading. Whatever you may use your laptop or desktop computer for, it is essential that you understand it’s operating system. It is this operating system which ensures that all the parts of your computer work together effectively, as well as allowing you to run other programs, store and retrieve information and look after the ‘health’ of your computer. 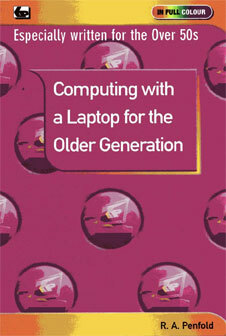 This book is especially written for the older generation who have had little or no experience of using a computer. It has been written in plain English avoiding technical jargon wherever possible and should tell you everything that you are likely to need to know about Microsoft’s new operating system that is called Windows 7. With this knowledge you should be in a much better position to get the most out of your computer and its peripherals. This book, applies to all versions of Windows 7 and to netbook, laptop and desktop computers. It is printed in full colour on high quality non-reflective paper for easy reading and is lavishly illustrated with numerous full colour screen shots. The author Jim Gatenby trained as a mechanical engineer and has considerable experience of teaching computing to students of all ages and abilities in schools and adult education He has written numerous books in various fields of computing including many specifically for the older generation. 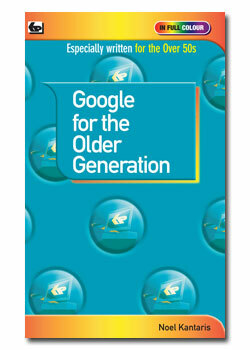 Google has evolved into far more than just an internet search tool as this book will explain. 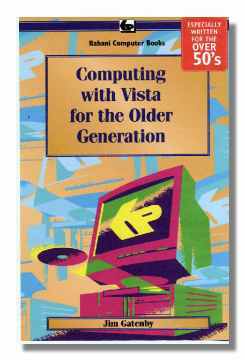 It has been written with a view to the particular needs of the older generation who may have little or no knowledge or understanding of computers. Product Search and Checkout to help make your online shopping quicker and easier. Google News to help keep you up to date with World events and local news as and when it happens. Google Finance will give you not only the latest but also historic information about stocks and shares, funds, currencies, etc. Google Mail helps you easily carry out all your e-mailing needs. Google Maps and Earth to easily view maps and local business information and to view satellite images of the planet. Google Docs which introduces you to the concept of 'Cloud' computing, by allowing you free access to word processing, spreadsheet and presentation software that you just use as and when you require. It then allows you to store safely and securely all your work on the internet. Picasa for organising and sharing your digital photographs. 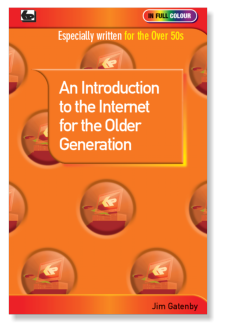 You can learn to use the Internet at any age and this book, especially written for the over 50’s, will help you to do just that in an easy and enjoyable way. It is written in plain English and avoids technical jargon wherever possible. This book explains how to use your PC, Laptop or an inexpensive Netbook computer to access and use the Internet in many useful, advantageous and interesting ways. Sending and receiving e-mails, photographs, etc., so you can keeping touch with family and friends all over the world. This book provides the basic knowledge so that you can gain enough confidence to join the local computer class should you so wish. Cherry Nixon is one of the most experienced e-Bay tutors in the country. Presenting her courses, many of which are especially tailored to the older generation, has given Cherry a unique insight into the requirements and difficulties encountered by her students of all ages. Her special insight and vast experience make this book particularly informative and useful. This book explains in the simplest of terms all you need to know about buying and selling on e-Bay. It assumes no prior knowledge and whereever possible avoids technical jargon. This book provides the basic knowledge so you can gain enough confidence to join the local computer class should you so wish. Laptop computers have rapidly fallen in price, increased in specification and performance and become much lighter in weight. They can be used practically any where, then stored out of sight when not in use. Therefore, it is not surprising that their sales now far exceed desktop machines and are also becoming increasingly popular with the older generation of computer users. The friendly and practical approach of this book will help you to understand and get the most from your laptop PC in an easy and enjoyable way. LAPTOP BASICS AND SELECTION covers the pros and cons of laptops for various uses and applications. It also offers advice on selecting the right machine for you. SETTING UP YOUR LAPTOP covers unpacking, connecting and getting your machine operational. Also covers charging using mains power and adjusting the screen, touch pad etc. USING YOUR LAPTOP PC covers the installation and configuring of applications software. Also covered are using external drives, printers ,expansion cards and docking stations etc. INTERNET SECURITY covers connecting to the Internet using Wi-Fi and general security matters such as Firewalls, encryption, antivirus etc. TROUBLESHOOTING covers using System Restore. Backing up data. Battery and power management. Possible keyboard difficulties and screen problems etc. Printed in FULL COLOUR on high qualit non-reflective paper for easy reading. 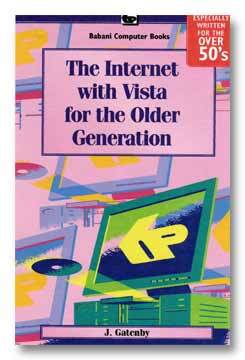 This book is the Windows Vista version of the best-selling book BP600 “The Internet for the Older Generation”. Vista being the new computer operating system from Microsoft. 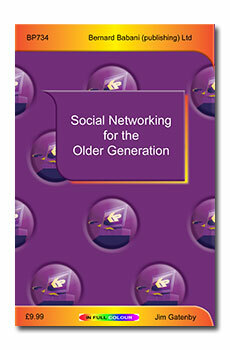 The book is especially written for the over 50’s, using plain English and avoiding jargon. It also uses large clear type for easy reading. 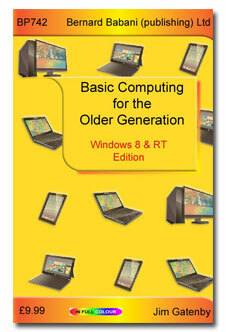 It describes in an easy to understand way how to use a PC, with a Vista operating system, on the internet. Choosing and setting up your PC for the internet. Getting connected to the internet. Sending and receiving e-mails, photographs etc. Searching for and saving information on any subjects. Setting up your own web site. On-line shopping and home banking. The book also includes essential information about Microsoft’s Vista, Internet Explorer 7, Windows Mail, Wi-Fi, Hotspots, Bluetooth,etc. Choosing, setting up and understanding our computer and its main components. Upgrading to Vista and understanding its new features. Writing letters, leaflets and other word processing jobs. Keeping track of your finances using a spreadsheet. Recording details of holidays and other ideas using a database. Using the internet to find useful information and keep in touch with family and friends. Making “backup” copies of your work and checking for viruses. Using Windows Vista to help people with impaired vision, hearing or mobility. 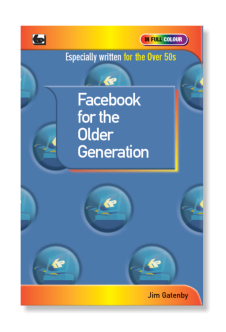 Especially written for the over 50's, using only plain English and avoiding technical jargon. With large, clear type for easy reading. Most Internet Service Providers (ISPs) allow you a certain amount of space, free of charge, for your own personal web site. This may be for whatever purpose you wish. It could be for your own private use, for a club or society or even to advertise or sell items or services of your own or for a relative or charity, etc,. This book explains as simply as possible various ways of constructing your own web site and, also, how to maintain it using inexpensive and freely available software, some of which may already be loaded onto your computer. 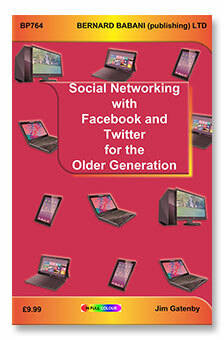 Especially written for the over 50's, using only plain English and avoiding technical jargon. With large, clear type for easy reading. The book starts with a brief introduction for those who have never touched a computer before, even discussing the keyboard in some detail. It then moves on to describe Microsoft's WORD, the word processor programme that you will use to create and alter various types of documents on your computer. Later chapters show you how to produce simple one and two page documents such as letters and, also, how to produce your own letterhead. Further chapters introduce more advanced features such as personally addressed circular, cards, invitations, handbills and posters containing pictures as well as text in all sorts of size, shape and colour plus much more besides. It does not matter what you may use your computer for or how little you may use it , it still needs a certain amount of care and looking after to keep it fit and healthy. This book covers in the simplest of terms, the basic requirements for keeping your PC in good health and running smoothly. Wherever possible technical jargon is avoided. Installing, setting up and using Antivirus software. Detecting and removing “pest” programs such as pop-ups ,Trojans, spyware and dialers,etc., and how to avoid getting them on to your system in the first place. How to avoid e-mail viruses and spams. How to install and use Firewalls. Using Windows XPs built-in facilities to make your computer run faster and also how to use third-party software to do the same. The Internet is a wonderful source of information and advice for the older generation. But you have to know how to access it and how to find the information that is relevant to you without being inundated with masses of irrelevant information. Transport and parking, etc., etc. This book explains in the simplest of terms how you can get on line, how to find the information you require, how to print it out and when applicable how to send details and apply on line. 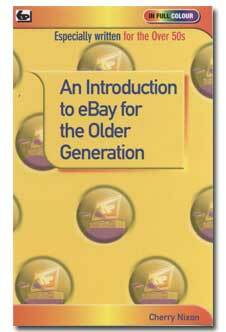 Another title in the hugely successful “Older Generation” series, with large clear type for easy reading and avoiding technical jargon wherever possible. Save and print out useful travel and holiday information. Make arrangements for travel by road, rail, sea and air, by booking ‘online’ from the comfort of your own home. Find all types of accommodation, then check it out thoroughly using online photographs and possibly a ‘virtual tour’. Use the Internet to pay for travel and holidays online, taking necessary precautions to ensure security and prevent fraud. Thoroughly prepare for any eventuality at home or abroad. Research holiday destinations and find out about local attractions as well as legal, safety and health issues. Use the Internet to obtain the best prices, discounts for online customers and take advantage of last minute deals. The internet provides an unlimited source of Information, products and services which are available to you without ever having to leave the comfort of your own home. Written especially for the over 50's in easy to understand language and with large clear type for easy reading, this book can help you find whatever you are looking for quickly and easily. It will show you how to simply achieve successful results from searches without being swamped by too much irrelevant information. Amongst the many fascinating things that can be found on the Internet, you will be shown how to locate all types of music. how to listen to various radio stations or watch TV from around the world. You are also shown how to locate and download useful computer programs, many of which are free. and much more besides. 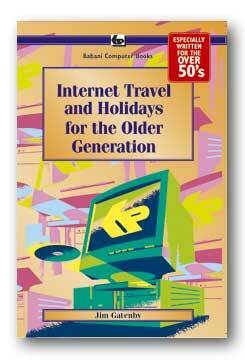 Also included are guide sections to websites which are of particular interest to the over 50's. These range over such topics as health and care advice, legal problems. money and financial matters, travel and maps, genealogy and hobbies, etc. 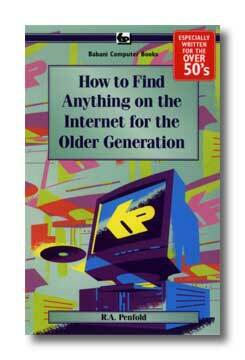 With the help of this book you will achieve the maximum benefit from the Internet. and hopefully enjoy the experience. Written especially for the over 50's in easy to understand language and with large type for easy reading. This book should give you the confidence to purchase goods and services and. also, to carry out bank and building society transactions safely and securely over the Internet. Internet shopping is really nothing more than good old fashioned mail order! The only difference being that you place your order through a web site rather than by post or on the telephone. Internet banking is carried out in much the same way. You use a web site to arrange transfers between accounts, make payments or set up standing orders and direct debits, etc. But unlike telephone banking you have the advantage of also being able to print out your own statements and details of all your transactions. Nowadays, it is very common to find that the lowest prices for goods or services that you may wish to purchase, and the highest interest rates offered by many banks and building societies, are only available via the Internet. 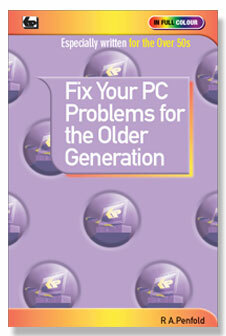 Especially written for the over 50's, using plain English and avoiding technical jargon. Whatever the season why not get extra enjoyment from your garden with the help of your computer. Based on GSP's inexpensive software 'Geoff Hamilton's 3D Garden Designer'. 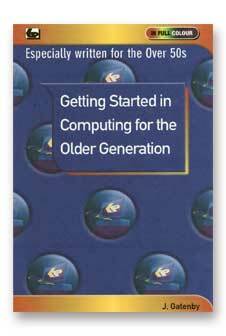 Especially written for the over 50's in easy-to-understand language and it is not necessary to have a previous knowledge of computing. Large type size for easy reading. Designing and planning a simple garden, then viewing your finished design by letting the computer stroll around it. How to add and/or change your plant selection, alter the position of lawns and flower beds, shrubs and trees, paths and patios, furniture and buildings etc. Using the plant encyclopaedia section of the software to learn more about the individual plants so as to help you select the most suitable for your particular garden environment. Plant care and maintenance, tailored specifically for your garden. You can learn to use a computer at any age. 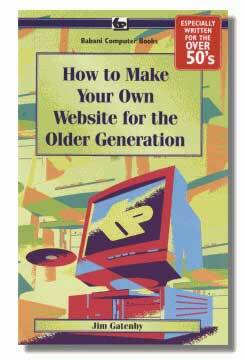 Especially written for the over 50's, using plain English and avoiding technical jargon. Large clear type for easy reading. Choosing, setting up and understanding your computer and its main components. Writing letters, leaflets, invitations. etc., and other word processing jobs. Using the internet to find useful information, and e mail to keep in touch with family. and friends. Making 'backup' copies of your work and checking for viruses. How to use Windows XP to help people with impaired vision, hearing or mobility. Provides the basic knowledge so you can gain enough confidence to join the local computer class. You can use the Internet, at, any age. Especially written for the over 50's. Uses only clear and easy to understand language. Larger type size for easy reading. Provides basic knowledge to give you confidence to join local computer class. Sending and receiving e mails, photographs, etc., so that you can keep in touch with family and friends all over the world. Searching for and saving information on any subject. On line shopping and homebanking. Setting up your own simple web site.